Beginning with a Teachers Workshop for educators in Arlington, Virginia in August 2017 and finishing with a screening of PBS’s American Experience: “The Chinese Exclusion Act,” at the WCVE studios in Richmond in October 2018, the 1882 Foundation introduced a variety of audiences to a number of short films illuminating a cross-section of the Chinese American experience. 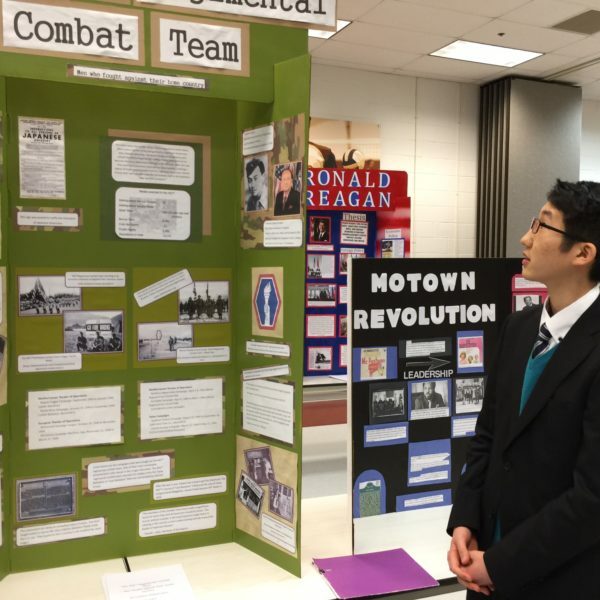 The grant from Virginia Humanities provided for the showing of the films along with presentations and discussions led by filmmakers, scholars, authors, and others to help teachers and community members appreciate the history of Chinese Americans. What follows is a detailed report of the five events and the activities conducted under the auspices of the grant. The 1882 Foundation’s grant from Virginia Humanities called for a series of events where short films about the Chinese American experience would be screened and accompanied by presentations, panel discussions, and teacher workshops, or a combination of these. We anticipated that we would hold three or perhaps four such events. And despite setbacks in plans for a couple of events, we more than made up for them in scheduling three others. The project had its first event for Arlington teachers in August of 2017 as teachers prepared for the upcoming school year and concluded with its fifth event in October 2018 with a program hosted by WCVE in Richmond of a public screening of the PBS documentary, The Chinese Exclusion Act. These events were aimed at a variety of audiences to broaden the opportunity for Virginians to learn about Chinese Americans: how and why they came to the United States; how they adapted to American life; the obstacles they faced and overcame; and the contributions they have made to American life and culture. Ultimately, the Traveling Film Seminar served to advance the discussion of what it means to be an American and significantly expanded the range and number of people who now understand more about the background of Chinese Americans. Each year, Arlington County (ACPS) teachers, as do teachers throughout the Commonwealth, prepare for the school year with several days of professional development. Working with Cathy Hix, the Social Studies Coordinator for ACPS, the 1882 Foundation held a three hour workshop for 40 teachers (mainly middle and high school) featuring two short films. 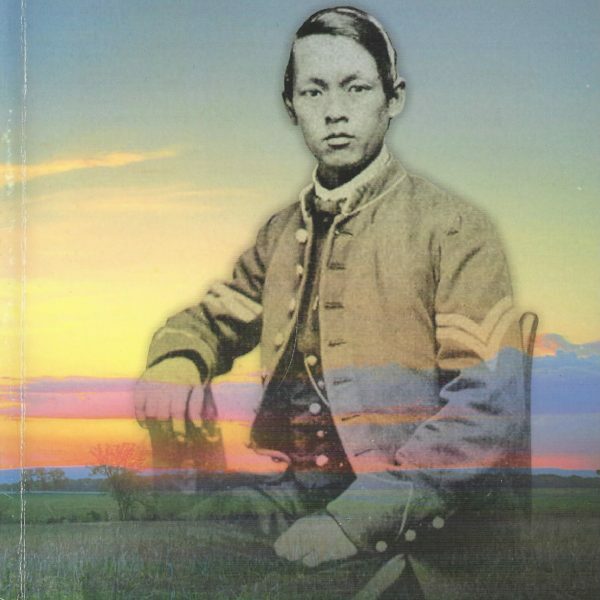 One was Finding Cleveland about a young man, Baldwin Chiu, from Los Angeles and his search for his Chinese ancestor who was part of a long-standing Chinese American community in the Mississippi Delta dating back to the end of the Civil War. Few Americans know of this bit of history and the role it plays in several significant incidents in American life as will denoted in another part of this report. Baldwin’s wife, Larissa Lam, was present to recount his story and the making of the film. 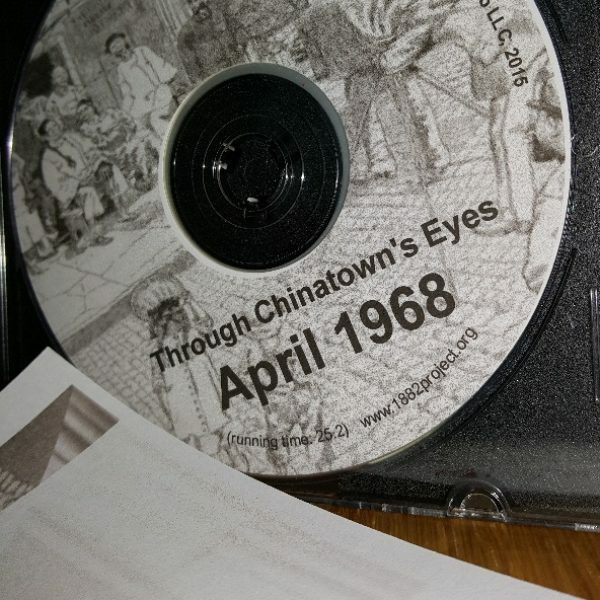 The second film, Through Chinatown’s Eyes: April 1968 chronicles the lives of Chinese Americans living in Washington, DC during the riots that ruined Chinatown following Martin Luther King’s assassination in 1968. We were fortunate in having two professors, Janelle Wong (Asian American Studies, Univ. Of Maryland) and Krystyn Moon (History, Immigration, Women’s Studies, Mary Washington Univ.) provide historical context while filmmaker (Finding Cleveland), Larissa Lam, and a resident, Harry Chow, of Chinatown in 1968 were able to speak directly to the subject matter of the films. Ting-Yi Oei, the Education Director of the 1882 Foundation provided a workshop for teachers and lesson plans on how to use the films in the classroom. The films and the plans are available to ACPS teachers through their online curriculum resource network. In the evening, a follow-up event open to the general public featured both films again and a community discussion. One reason for showing “Through Chinatown’s Eyes: April 1968” as part of the Seminar is its timeliness – 50 year anniversary of the event – and Arlington’s immediate proximity to Washington. To bring home those connections, Marya McWhirter, a historian of Washington, DC, and organizer of a year-long series of events commemorating the year1968, presented her thoughts on those times to the group. It is important to point out that the speakers here and throughout the Traveling Film Seminar in their feedback really appreciated the opportunity to speak about their work and experiences. Their expertise not only fit the goals of the 1882 Foundation grant but served their personal and professional aims as well. Our second event led us to Norfolk State University, one of Virginia’s historically Black colleges, in March, 2018. Through the help of Professors April Manalang and Page Laws, we arranged for a seminar with the NSU Honors College students for an afternoon reception and presentation by Paula Madison, the producer of a film Finding Samuel Lowe about her own experience growing up in Brooklyn with her Chinese Jamaican mother and her journey in tracing back the path to her Chinese grandfather: Who was he? How did he get to Jamaica? What happened to him? What’s it like to be part of a huge extended Black and Chinese family? The audience here was the fifty students in the Honors College program and furthered our goal to get this story and that of Chinese Americans out to another group that may be unfamiliar with this part of the American story. A lesson plan developed by the 1882 Foundation also accompanies this film. In the evening, the film was screened with a panel including Paula, Ted Gong (Executive Director of the 1882 Foundation), Ting-Yi Oei, and Dr. Toney McNair (Virginia’s Teacher of the Year for 2018 and an alumnus of NSU). Dr. McNair, a Music teacher and Band Director in the area had actually screened Ms. Madison’s film for one of his classes prior to the event and shared his students’ reactions with the panel and the audience. Genuine surprise was the reaction – few could put together the notion of how this kind of story could come to be. Ted Gong and Ting-Yi Oei also shared stories of their own that illustrated the unusual paths immigrants have taken in coming to the United States. Questions from the audience and small after-presentation discussions brought out how people share common experiences about developing their identity even though their stories may be very, very different. Loudoun County was the next venue for the Traveling Film Seminar. Each year, Loudoun County Schools hosts an International Youth Leadership Summit bringing 100 students and 25 teachers from 25 countries to live in and learn about the United States for eleven days. Likewise, an equal number or more students and teachers in Loudoun have the opportunity to learn about other countries through the students visiting the States. This turned out to be a wonderful opportunity for Paula Madison to tell her story again before a large and international audience that reflected an unusual, yet not so atypical, story behind America’s diversity. Following her presentation we all participated in a luncheon where students could interact with Paula. This was followed by a two hour workshop conducted by Ting-Yi Oei and Ted Gong for both the international teachers and several from Loudoun County, 30 in all, that expanded on Paula’s film and on the broader history of Chinese and Asian Americans. Most fascinating to many from the workshop was how the international teachers appreciated seeing these new perspectives on America: little known stories that expanded their view of Americans. Included in the group were teachers from South Africa, for example, who had much to compare and contrast with their country’s experience and what they were hearing from us. Others commenting notably because of their own histories were teachers from the Republic of Ireland, South Korea, Serbia, and Australia. We, meaning all those involved with this event, felt very pleased at being able to coordinate this program into the events for this group of inrternational students and educators. A fortuitous melding of interests brought the Traveling Seminar to Richmond where the 1882 Foundation was able to be part of the Library of Virginia’s Brown Teacher Institute in early August. With the focus on “New Virginians: 1619 to the Present and Beyond,” Ting-Yi Oei of the Foundation conducted a workshop for the 40 teachers from around the Commonwealth on the Immigration Act of 1965, the demographic shifts it brought, and its impact on Virginia and the U.S. This was followed by the showing of “Through Chinatown’s Eyes: April 1968” that served to accentuate that the Chinese community was already here and nearby and a part of the changes that were to come in a tumultuous period of our history. A panel discussion moderated by Ting-Yi Oei followed the film with Penny Lee, one of the filmmakers, Harry Chow and Jack Lee, both of whom were residents of Chinatown at the time, and Ted Gong. Judging by questions from the teacher audience, they really appreciated learning about the Chinese American experience especially through hearing the personal stories of the panelists. The vast majority also had little or no knowledge of the background to their stories: the lives of immigrants. Every time we get together those involved in the film, they engage in memorable storytelling about growing up in Chinatown and learning to navigate their lives between Black and White. They are very appreciative of being able to share these experiences with broader audiences like the teachers attending the Institute. The last piece of the Traveling Seminar came through coordinating the efforts of the 1882 Foundation with several other Asian American organizations in Central Virginia: the Asian American Society of Central Virginia (AASoCV), OCA, and the Coalition of Asian Pacific Americans of Virginia (CAPAVA) and WCVE, the Idea Stations of the Public Broadcasting System serving the region. WCVE generously agreed to host a special showing of the PBS documentary “The Chinese Exclusion Act” at its studios in Richmond. The film, produced by Ric Burns and Li-Shin Yu, documents the rise of anti-Chinese sentiment in the United States culminating in the 1882 legislation barring entry to most Chinese and denying those already here from ever becoming citizens. It originally was aired nationwide on PBS stations during Asian American Heritage Month in May 2018. This screening used a shortened educators version that is intended for classroom use. About 150 guests attended the screening and the panel discussion afterwards. The discussion was hosted by NPR’s Marketplace correspondent Scott Tong and featured authors Adrienne Berard, Jean Pfaelzer, and 1882 Foundation Executive Director Ted Gong. Ms. Berard’s book, Water Tossing Boulders, is about the Gong Lum v. Rice Supreme Court case in 1927. She became interested in the subject while a Writer-in-Residence at Delta State Univ. This case challenged the Plessy v. Ferguson decision of 1896 establishing the “separate but equal” doctrine of the Jim Crow South. It spoke to the activism of the Chinese American community in the Mississippi Delta mentioned earlier in this report. While the Lum family lost its case to desegregate the schools by having Chinese Americans attend along with White students, this Supreme Court case set an example for the Brown v. Board landmark decision of 1954. Driven Out, by Jean Pfaelzer, a History and Women’s Studies Professor at the University of Delaware, also addresses the activism of Chinese who often fought tough battles through the legal system to challenge the discrimination and injustice they faced both before and after the Chinese exclusion Act of 1882. Her book chronicles the atrocities faced by the Chinese and the bigotry of the laws but shows the determination of the Chinese to work the system and gain some measure of success and the respect due them. In the discussion she was also able to bring out, for example, the difficulty in trying to establish any kind of domestic family life as so few Chinese women were allowed into the country. Ted Gong, in his role as the Executive Director of the 1882 Foundation, reiterated the organization’s goal to bring all these facets of American history to light. Scott Tong and all the panelists added valuable context to the film speaking about the determination of Chinese Americans to use journalism, civic activism, and the courts, including the U.S. Supreme Court, to advance their cause. In various ways, each participant expressed how important it was for them to bring awareness of unknown or forgotten history to this kind of audience. At the conclusion, the audience and participants gathered for a reception in the WCVE Studio’s atrium where additional discussion could take place. Bringing films like these to a broader audience has been one of the 1882 Foundation’s major goals. The 1882 Foundation helped produce Through Chinatown’s Eyes: April 1968 as the first of several such films chronicling the experiences of Chinese Americans. One of the concerns with screenings of these films prior to this Traveling Film Seminar has been that the attendees have been predominantly Chinese and Asian Americans. We made it a point to see that the audiences attending the Traveling Film Seminar would be from a broader cross-section of the residents of Virginia and that the impact of the films could be spread through the discussions emanating from the exposure to the films by these more broadly-based audiences. Our teachers throughout the Commonwealth, for example, represent a core of individuals who now have a reserve of information and materials to tell students in their classrooms of an often overlooked part of American history and who can also motivate their colleagues to include these stories as well. But we are not done. One of our goals remains unfulfilled. We wish to perpetuate the work of the Traveling Film Seminar through a teacher’s guide of lessons and resources that we have used and are still developing. Similarly, we have collected a lot of video and still images from the events that we plan to include in a 15 to 20 minute promotional piece explaining who we are and what the Traveling Film Seminar was all about. It, too, still needs further work. We are very grateful to Virginia Humanities for having had this opportunity to bring our work forward.